Year established 1561 - 1562 Greyfriars Kirkyard is the graveyard surrounding Greyfriars Kirk in Edinburgh, Scotland. It is located at the southern edge of the Old Town, adjacent to George Heriot's School. Burials have been taking place since the late 16th century, and a number of notable Edinburgh residents are interred at Greyfriars. The Kirkyard is operated by City of Edinburgh Council in liaison with a charitable trust, which is linked to but separate from the church. 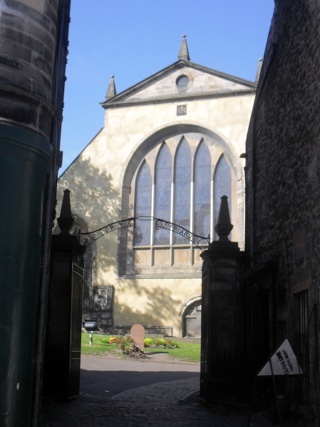 The Kirkyard and its monuments are protected as a category A listed building. The GPR holds 507 grave and 2241 person records for the private cemetery. The status of the photographing of the private cemetery is believed to be complete. There have been 551 requests for photographs from the private cemetery.